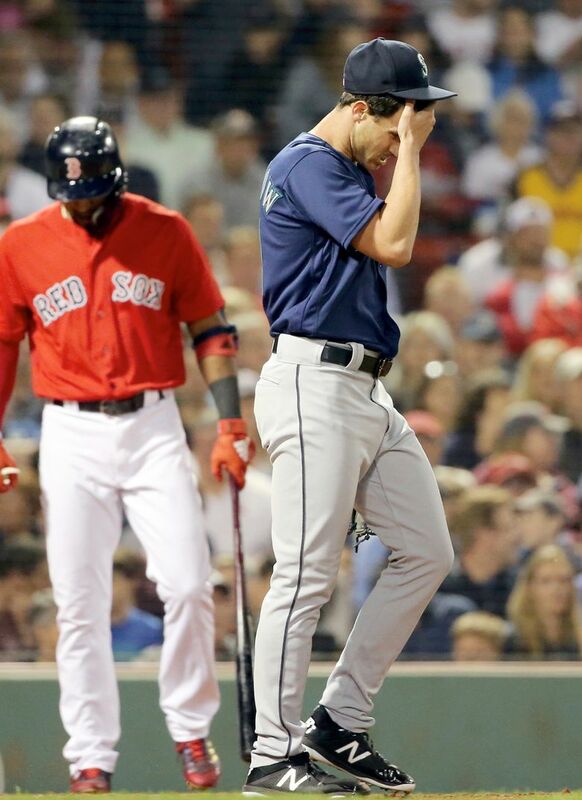 Seattle’s seriously regressing bullpen gave up eight runs in a two-inning meltdown, turning a five-run lead into a crushing 14-10 loss to the Red Sox. BOSTON — Due to the “quirks” found in the schedule, situations like the same starting pitchers facing off against each other in back-to-back outings can arise during the season. It’s happened once already this season when Felix Hernandez and Tampa’s Blake Snell faced each other June 3 at Safeco Field and June 9 at Tropicana Stadium. The second occurrence came Friday night at Fenway Park when soft-tossing lefty Wade LeBlanc and knuckleballer Steven Wright squared off for the second time in six days. Would there be a repeat performance in the rematch? The two pitchers combined to give up nine runs on 10 hits, including two homers … in the first inning. And it would only get worse. 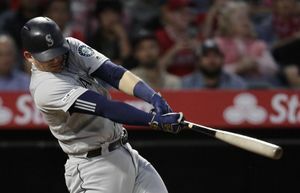 Despite a herculean effort from Nelson Cruz, who had four hits, including a pair of three-run homers and seven runs batted in, and Seattle scoring double-digit runs for the fifth time this season, it wasn’t enough for the Mariners to secure victory. 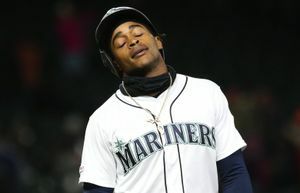 Seattle’s seriously regressing bullpen gave up eight runs in a two-inning meltdown, turning a five-run lead into a crushing 14-10 loss. 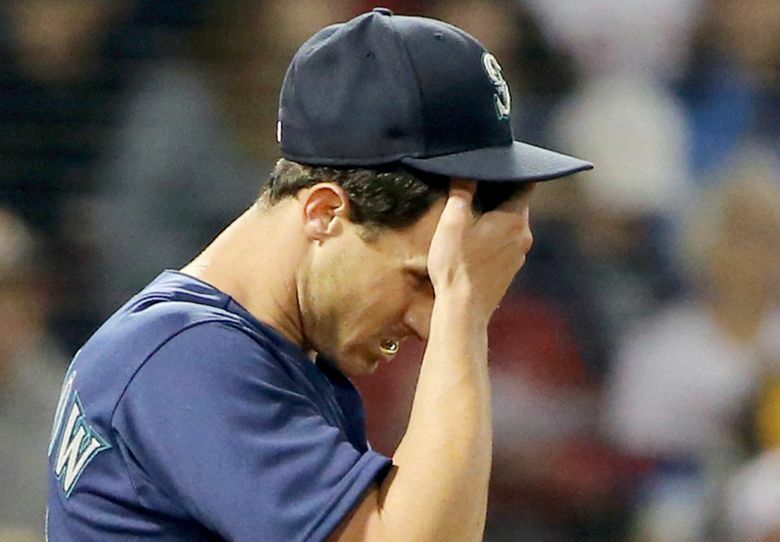 The Mariners’ fifth straight loss came in a game where they had a 10-5 lead going into the fifth inning. They are winless on the road trip and now 46-30 for the season. James Pazos and Nick Vincent combined to give up three runs in the sixth inning. Vincent, who was activated from the disabled list earlier in the day, entered the game with two outs. Before he could get that third out, he served up a two-run homer to J.D. Martinez, a triple to Mitch Moreland and an RBI single to Xander Bogaerts that cut the lead to 10-9. Juan Nicasio and Nick Rumbelow did even worse in the seventh, combining to give up five runs and letting a one-run lead turn into an unmanageable deficit against the Red Sox bullpen. Nicasio’s inconsistent season continued. In his second appearance since coming back from the disabled list, he loaded the bases with one out and gave up the game-tying single to Andrew Benintendi. The game didn’t remain tied for long. Martinez followed with a two-run single to make it 12-10. Nick Rumbelow was brought in to stop the bleeding but he uncorked a wild pitch to let a run score and allowed another on an RBI single from Eduardo Nunez. Besides the 14 runs, the Red Sox banged out 20 hits. The two teams combined for 34 hits. 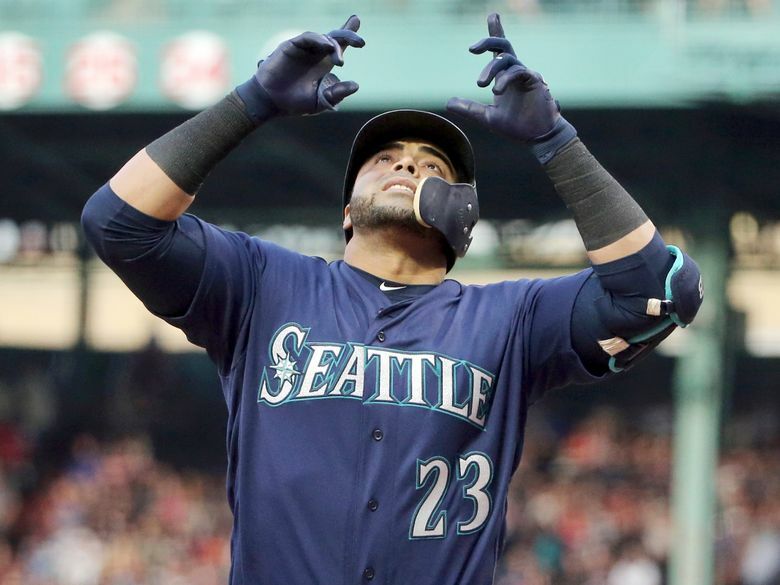 Cruz’s first homer came in the first inning, when Seattle jumped to a 4-0 lead. He crushed a knuckleball from Wright off the light stands atop the Green Monster in deep left-center. MLB Statcast measured the blast at 465 feet with a 113 mph exit velocity. With two outs, Ryon Healy made it 4-0, launching a solo blast over the monster and out of Fenway. It was his 14th homer of the season. But that four-run lead turned into a 5-4 deficit by the time LeBlanc got the third out in the bottom of the first. He gave up four straight hits to start the game, leading to a pair of runs. Two more RBI doubles in the inning and another scored by a fielder’s choice made it 5-4. All nine Red Sox hitters came to the plate in the inning, and six of them got hits. But Boston’s lead was short-lived. Wright’s knuckleball didn’t have the crisp, darting movement of the prior start. It stayed up in the zone and Mariners hitters were able to crush it. Mitch Haniger tied the game with an RBI single to left. And Cruz gave the Mariners a 6-5 lead with a run-scoring single to center. The Mariners pushed the lead to 10-5 in the fourth inning. Denard Span chipped in with an RBI double and Cruz obliterated another knuckleball from Wright, sending it out of Fenway in the deep reaches of left-center. For some reason, statcast only measured that blast at 443 feet. It was the fifth time in his career he drove in seven runs in a game. After the brutal first inning, LeBlanc was able to work the next three scoreless before giving up a run with two outs in the fifth to end his outing. LeBlanc pitched 42/3 innings, giving up six runs on 11 hits with a walk and two strikeouts. Wright was worse. He pitched 31/3 innings, giving up 10 earned runs on 10 hits with two walks and two strikeouts. But unlike the Mariners bullpen, Red Sox relievers Brian Johnson, Matt Barnes, Joe Kelly and Craig Kimbrel didn’t allow a run to score in the final 52/3 innings to secure the win.